Lately it has felt as though I have been treading water. Working a lot, but not really getting anywhere. I will work on a project and then get to a point where I need to stop and wait for supplies or just think about how to proceed. 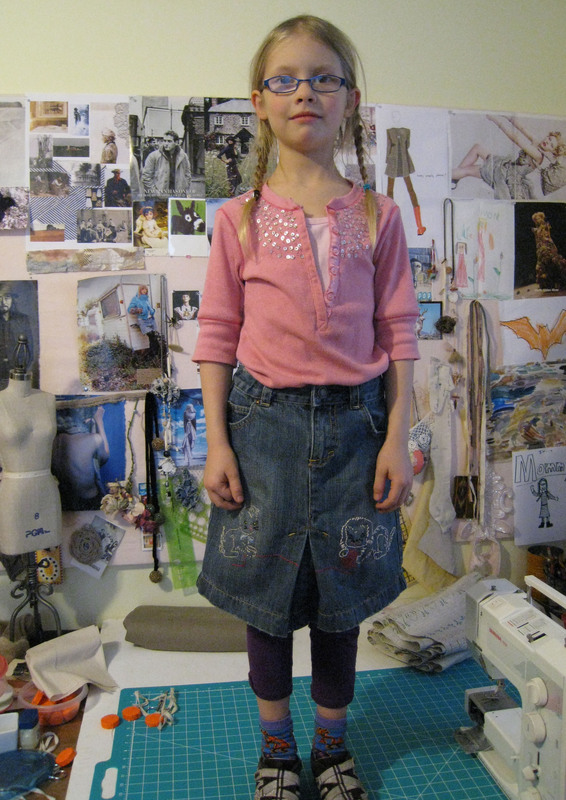 It becomes really frustrating to work this hard and just have piles of fabric and full sketch books to show for it. 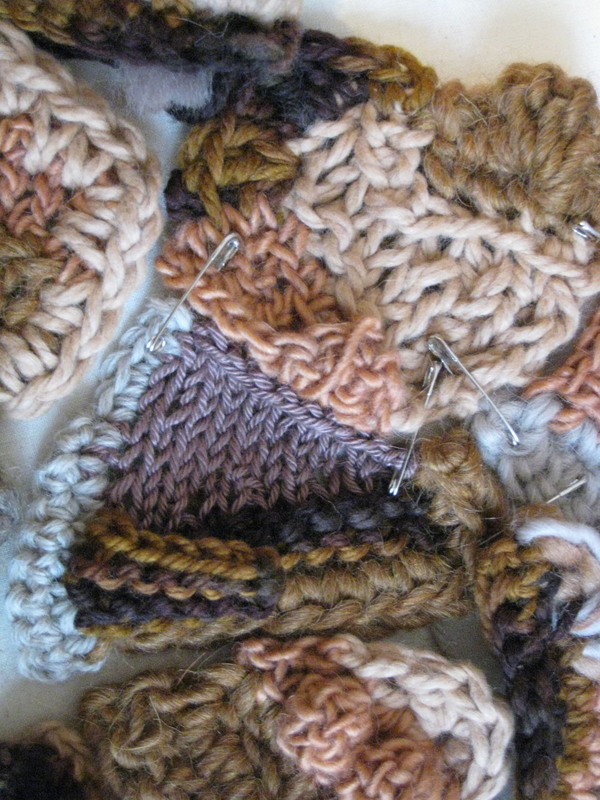 So, I started a few just for fun projects to keep my hands busy and maybe feel a bit of that thrill you get from actually finishing something. 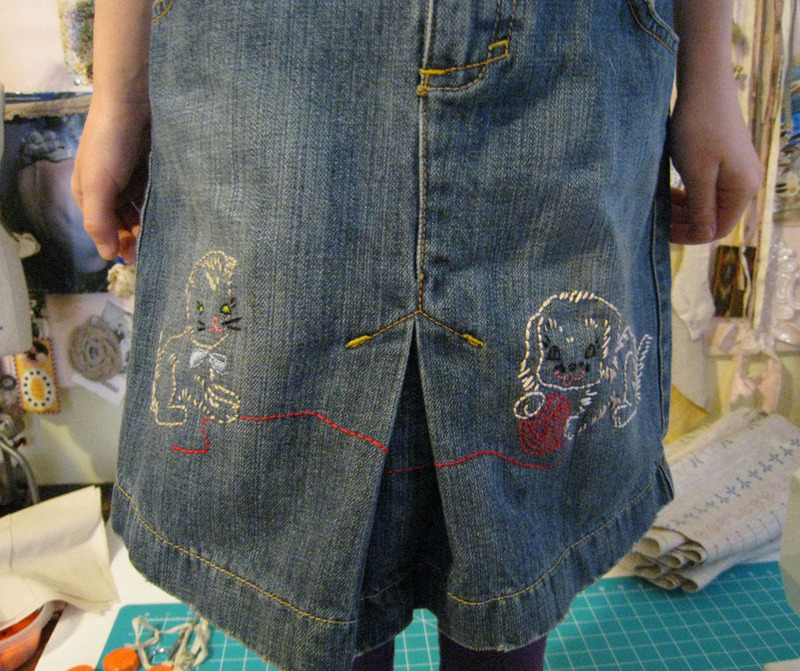 I embroidered this skirt for Scout. 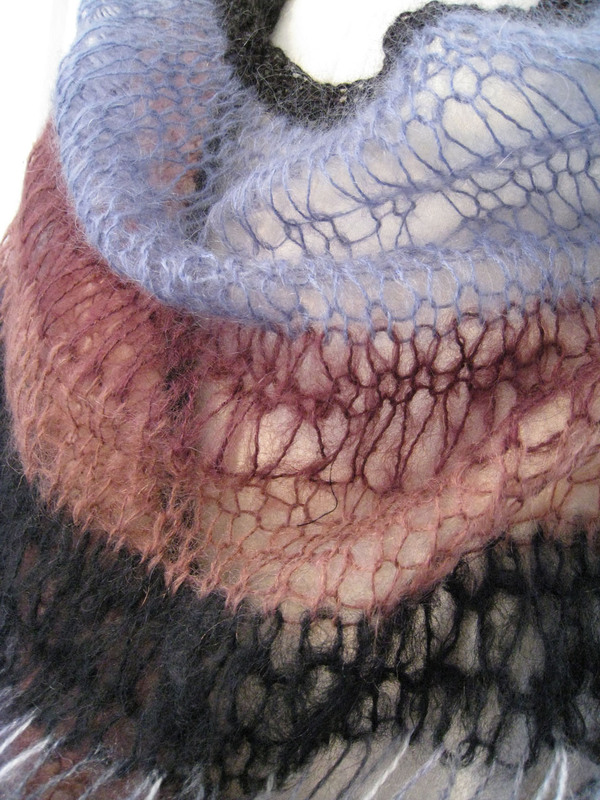 And I knitted this sort of Rodarte inspired scarf thing. Of course I got carried away and it is HUGE, but it will be fun to wear. And then this week something strange happened. In the middle of all the frustration of trying to work while having kids home for yet another snow day, I started to see some progress. 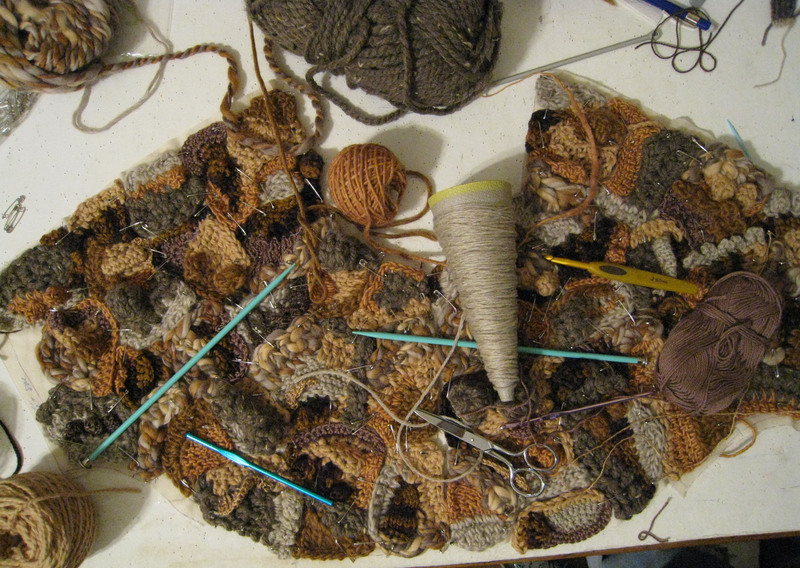 After days of sampling, yarn shopping, pattern drafting, and muslin making, I started on this crochet/knit jacket. Once I actually got started it moved forward pretty quickly. I still need to make all of the pieces for the back and then join all of the little pieces together. Then it will be lined and finished off with leather trim. All in all I think I will have 2 solid weeks of work into this little tiny thing. I am really happy with how it is turning out; a little bit ugly and a little bit odd, a little bit vintage and a little bit modern. 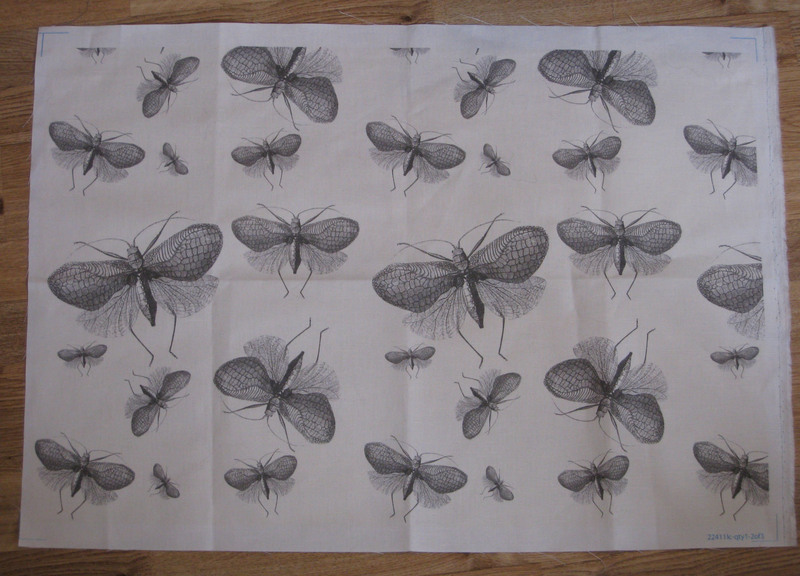 Yesterday the best progress of all happened when I received the swatches from Spoonflower of the fabrics I designed. They look amazing and only needed just a few changes. 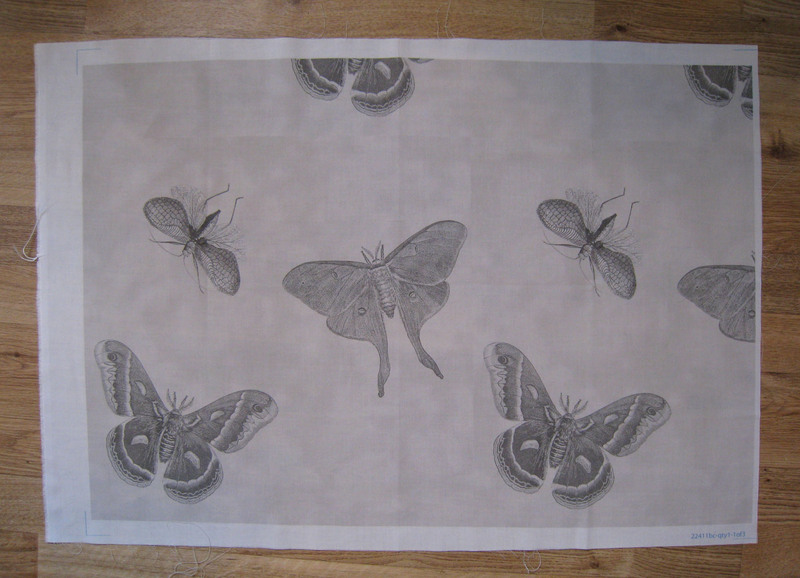 Very soon I will be able to order the fabric for the shirts, scarves and bags. The largest moths here are about 8″ across.